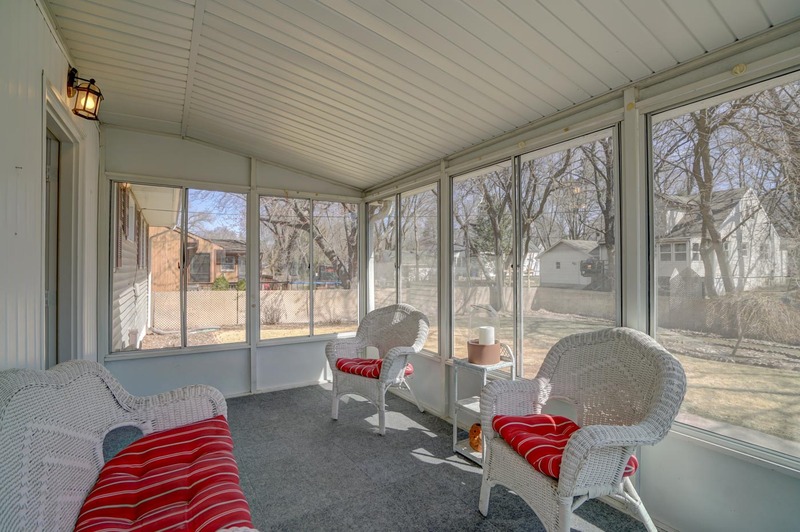 This 3-bedroom, 2-bath ranch-style house offers 2,023 square feet of living space — 1,226 of them on the main floor. And it’s all conveniently located near everything Monona has to offer. But with a couple of cozy fireplaces to keep you warm in the winter, and a large backyard and screened-in porch to enjoy spring, summer or fall evenings with family or friends, you may not want to leave home. 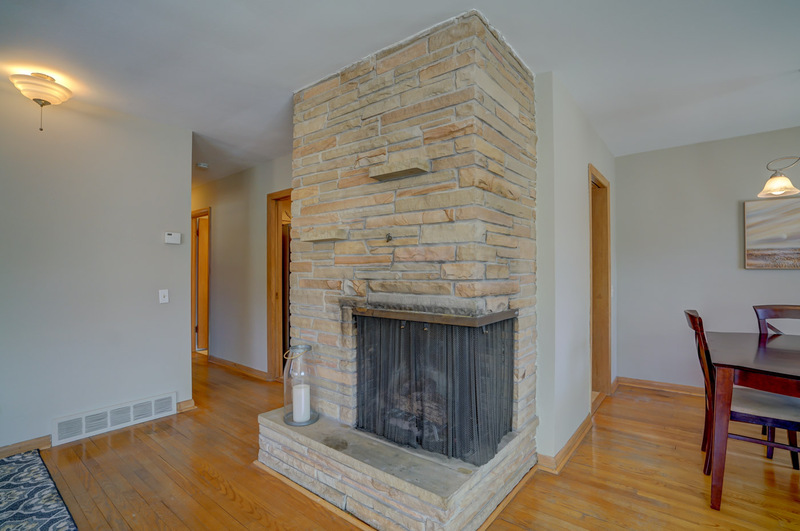 The front door opens to reveal an inviting open floor plan, starting with a great room featuring a corner gas fireplace surrounded by stone. The entire main floor has been freshly painted in attractive Sherwin Williams colors and the great room sports a fresh coat of “analytical gray,” an attractive neutral shade that goes with anything. With the exception of the tiled kitchen and bathroom, the floors on this level are hardwood throughout. Just inside the front door you’ll find a handy coat closet. And straight ahead is the kitchen. It features solid-surface counters and a built-in desk. A window just above the sink looks out over the spacious landscaped and fenced-in backyard. Taking a circular path, just off the kitchen you’ll find a dining area which opens directly to the great room — bringing you back to where you started. The dining area is large enough to entertain guests, but the size and location of the space would work equally well for a cozy breakfast nook. On the other side of the great room, a hallway leads to 3 bedrooms and a bath. The updated bathroom, painted in “repose gray,” features an executive height double sink with 2 mirrors and plenty of cabinet space. There’s a tub with surround — along with a separate shower. Just outside the room there’s a handy linen closet. The first 2 bedrooms, both on the left, are the perfect size for children or guests. Both have large closets with storage cabinets above. The first room has an interesting stucco treatment on the “accessible beige” walls. The second (corner) bedroom, painted in “analytical gray,” is slightly larger at 10 x 12 sq. ft.
Across the hall (and next to the bathroom) is the master bedroom. Also painted in “accessible beige,” this room features a floor covered in cozy carpeting. But if you prefer the look of wood flooring, you can easily remove the carpet to reveal the hardwood underneath. 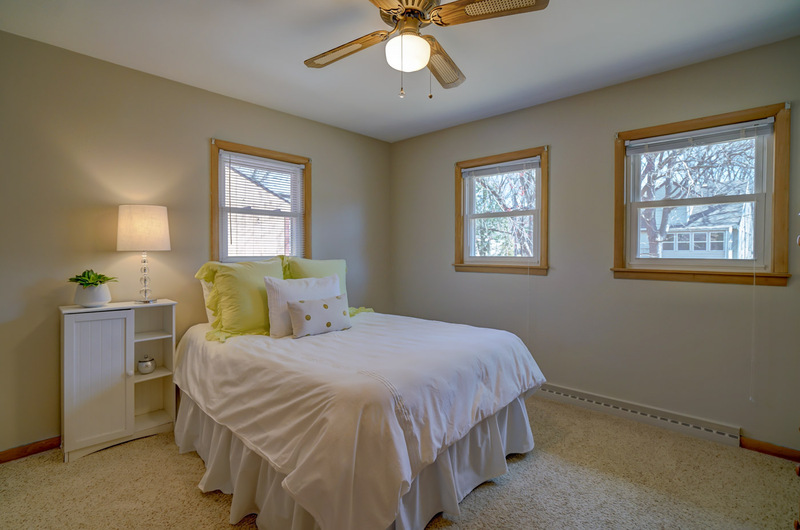 You’ll find additional living space in the large carpeted basement rec room area. There’s a second gas fireplace and plenty of room for your comfiest furniture — along with additional space, perfect for dining or games. This level also features another full bath, complete with a shower. And the utility room offers a washer, dryer, utility sink, and lots of storage shelves. 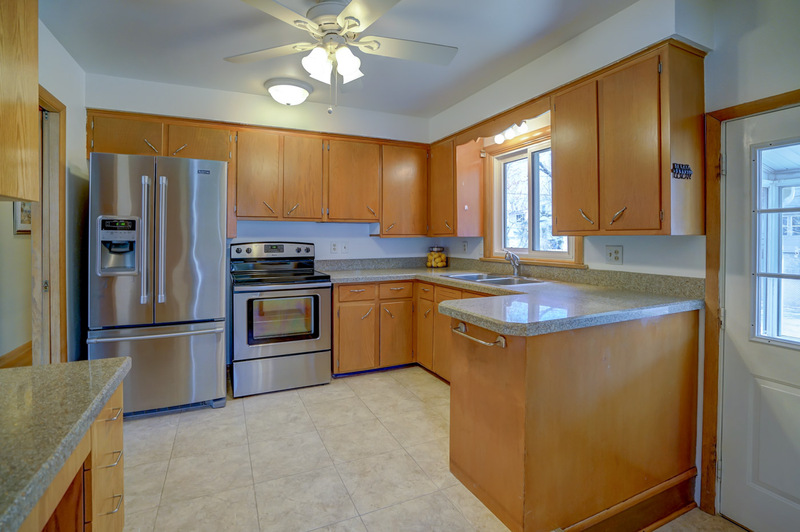 In addition to all the amenities of the house itself, you’ll find a great screen porch off the kitchen. Here you can sit and enjoy a summer breeze and look out over the large backyard. Enclosed all around, it’s a perfect space for children or pets to play. The home also has a 1-½ car garage, providing extra space — and a separate storage shed behind the garage. 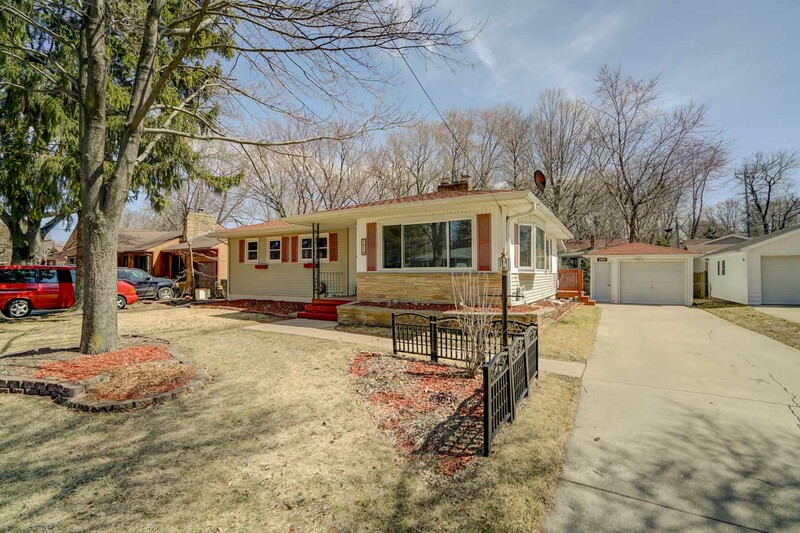 This Midmoor Road home is conveniently located in Monona — near schools, parks, the community pool, the Beltline, and many restaurants and shops along Monona Drive. And neighbors say you just can’t beat the location for its proximity to Monona Bait & Ice Cream on nearby Winnequah Road. There you’ll find Babcock ice cream, malts, and burgers all served by friendly staff. What could be better than that?